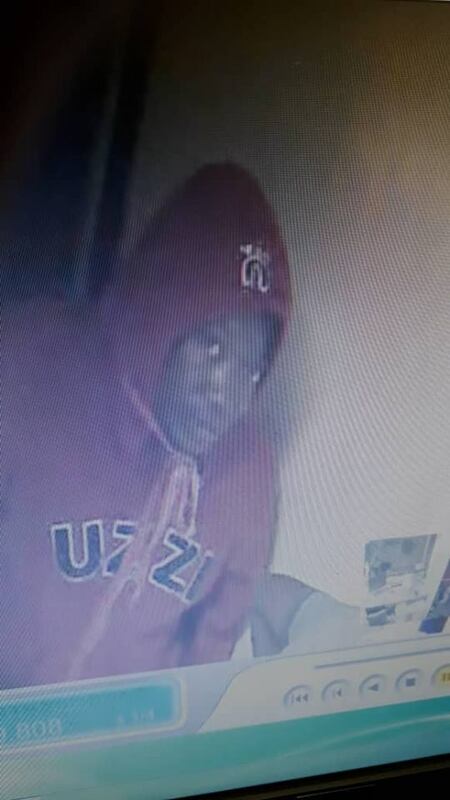 The Namibian Police have launched a country-wide manhunt for at least four men in connection of the brazen theft of as much as N$4 million in cash from the safe of Nedbank in Otjiwarongo. 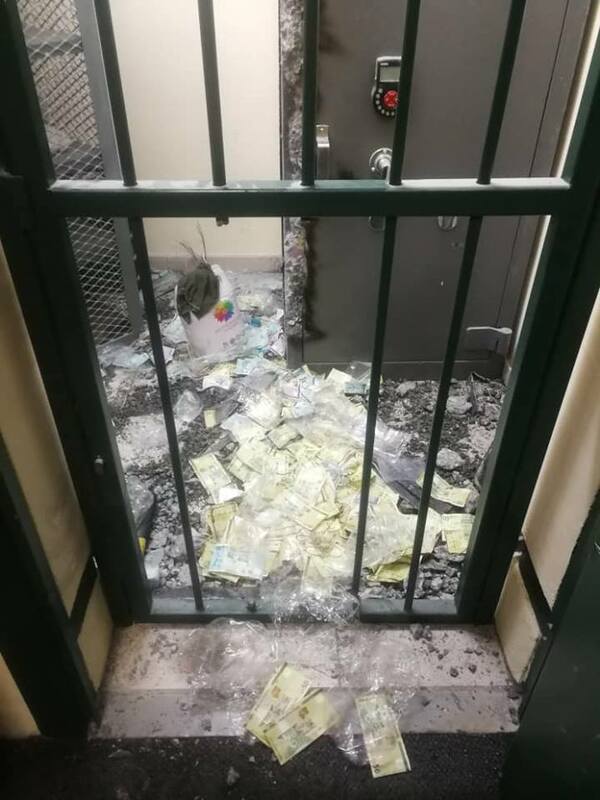 Commissioner Heinrich Tjiveze, Otjozondjupa Regional Police Commander, confirmed the incident and was only willing to say an unknown number of suspects broke into the bank and that some cash was stolen. Commissioner Tjiveze said the incident occurred any time between midnight on Sunday and the time the bank opened on Monday morning. “The theft from the bank’s safe was only discovered when the institution opened for business on Monday,” he said adding that the investigation into the matter is at a very sensitive stage and that he could not divulge any more information. 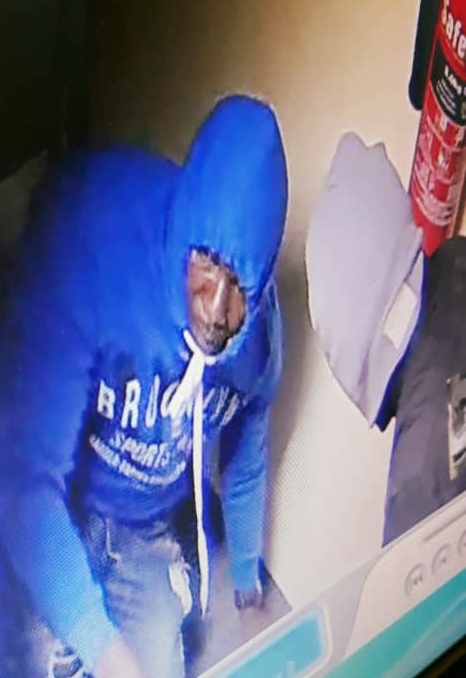 In the meantime pictures of three different suspects, their seven seater getaway vehicle and the damaged safe inside the bank spread like wildfire on social media platforms. 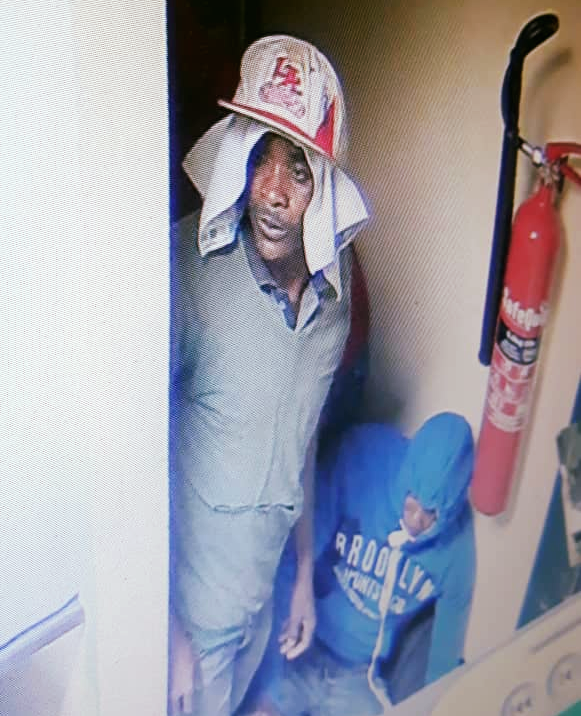 Three of the thieves’ faces can be seen on closed circuit television camera footage photographed in the bank during Monday. A fourth man wearing a grey beanie and a black jacket can be seen from behind. Two of the men wore hoodies to hide their faces from CCTV cameras and the third placed a piece of cloth under his hat in an effort to hide his face. 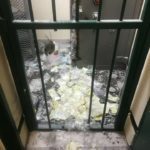 On the pictures it is clearly visible that they left a large amount of cash untouched inside the safe and on the floor of the strong room which could very well mean that the men were interrupted and had to flee the scene of their crime in hurry. It is alleged that the thieves gained entrance to the bank by cutting through the roof. The robbers then used a gas cutting torch to cut open the bars to the strong room that houses the banks’ main safe. 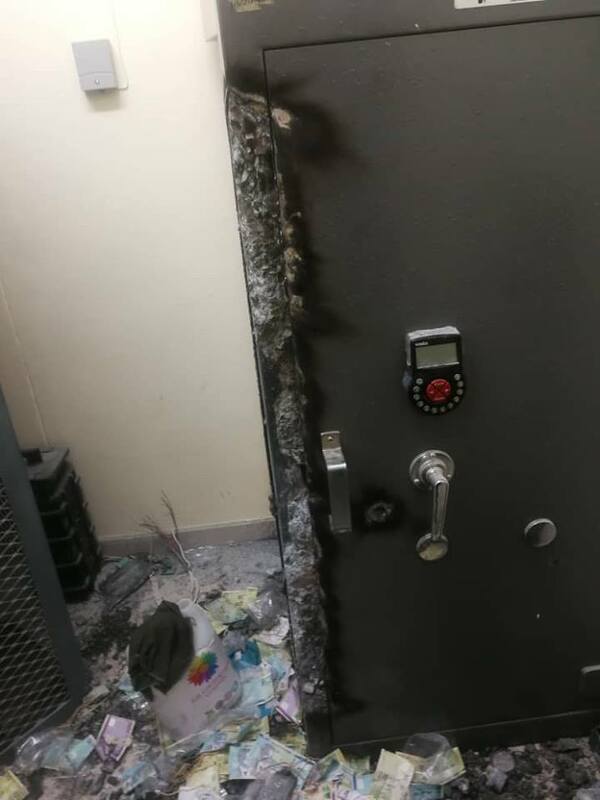 They then proceeded to cut open the main safe to get access to the cash inside. 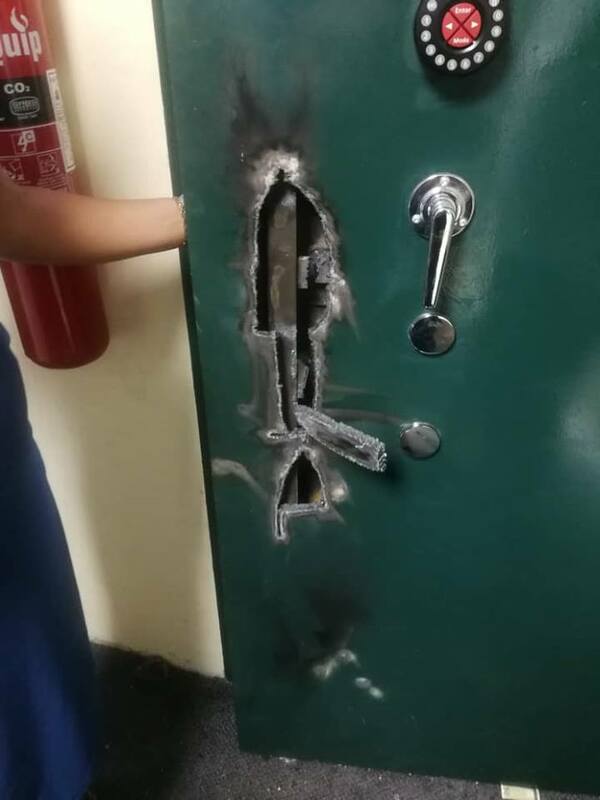 At this stage it is not clear how the thieves managed to bypass the security measures of the bank which allowed them enough time to cut open the burglar bars, the safe and to escape the scene with millions of dollars unseen by security guards on duty at other businesses in the main street of Otjiwarongo. 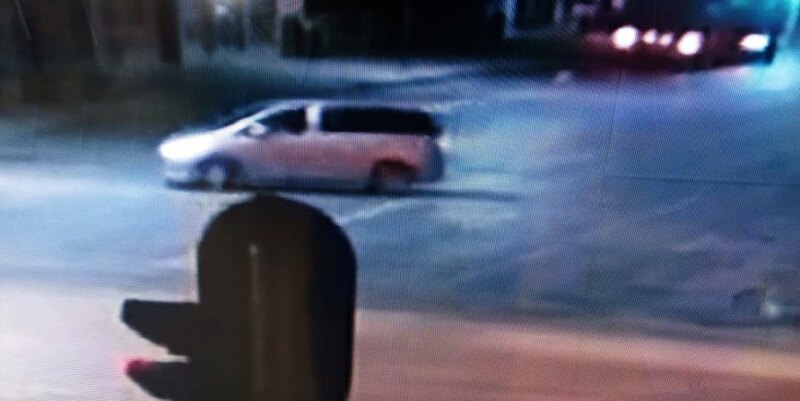 Unconfirmed reports have it that the burglars managed to steal as much as N$4 million in cash before fleeing the scene in their seven seater getaway car.